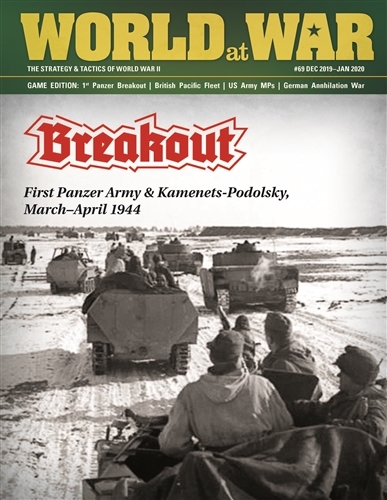 Breakout: First Panzer Army is a two player game that allows players to examine the operational challenges in the battles between the Soviet and German Armies in the northwest Ukraine in March and April 1944, leading to 1st Panzer Army Pocket. 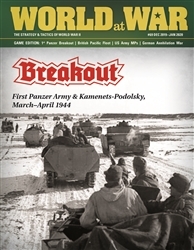 Most units are represented as corps-sized units with German garrison units represented as regiments or brigades. Each combat unit displays several types of information: nationality and type, organizational size, attack factor, defense factor, historical identification and substitute counter status. Components: 22x34 inch map, 176 die-cut counters.